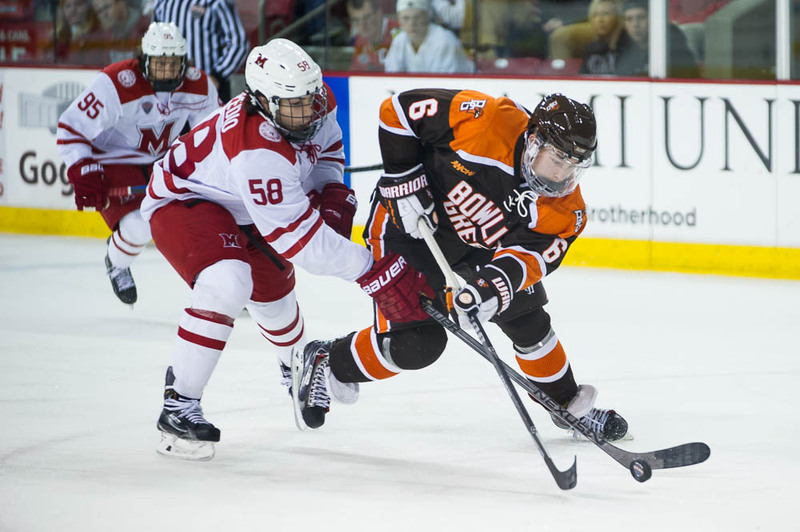 Bowling Green’s Mitch McLain is the Western Collegiate Hockey Association rookie of the week, the league announced Monday. The freshman forward had two goals, one assist and an on-ice rating of plus-3 in the Falcons’ series at Clarkson. BG posted a 5-4 win Saturday after earning a 2-2 tie Friday. McLain has three goals and two assists, playing in all six of the team’s games.